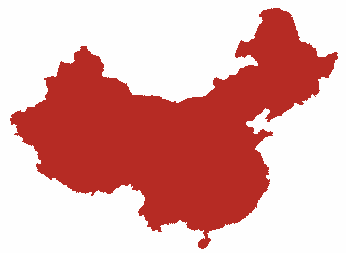 Chongqing Municipality in the southwestern part of Sichuan basin is the largest independently governed region in China. It has a superb geographical location where the mighty Yangtze and Jialing Rivers meet. The region is a well-known tourist destination because of the Three Gorges and the Yangtze River Cruises. Chongqing is a bonanza of picturesque mountains, spectacular rock formations, dense forests, lakes, springs, caves, urban conveniences, and quaint little ethnic villages. As Chongqing is surrounded by mountains on four sides it is called the mountain city. The Zhongling Mountains run parallel to the eastern border of Chongqing Municipality while the Tongluo Mountain forms the western border. Both these ranges radiate from the parent mountain range of Huaying. The Wugong Ling Mountain which is more than 1,700 meters above sea level is the highest peak in the region. The municipality is surrounded by water on three sides and is also called the furnace city or foggy city. Summers are hot with temperatures reaching 33oC. There is a vast difference between the day and night temperatures in the spring season. The autumn season is usually the time for rain and foggy skies. The winters are relatively dry but foggier with temperatures ranging between 7oC and 11oC. The best months to visit Chongqing are the months of April-May (summer) and October-November (winter). There is a high level of urbanization in the Chongqing Municipality, especially in the Central Chongqing area. The municipality has a population of 32.8 million spread over nine districts, namely Yuzhong, Jiangbei, Jiulongpo, Beibei, Banan, Dadukou, Shapingba, Nan’an, and Yubei. There is an abundance of natural resources like coal and fossil fuels. Almost 40 minerals including large quantities of manganese and strontium are also found here. Hence, Chongqing has been a major industrial base since ages. The industries include heavy machinery, automobiles, iron and steel, aluminum, military equipment, telecommunication equipment, Information Technology, computer hardware, and electronic equipment, etc. The history of Chongqing dates back to the Old Stone Age which existed 20,000 to 30,000 years ago. The region has been renamed several times over many centuries. During the Shang Dynasty reign and the Warring States Era, Chongqing was the Ba Kingdom capital and was called Ba. During the Qin and Eastern Han Dynasties Chongqing continued to be known as Ba. 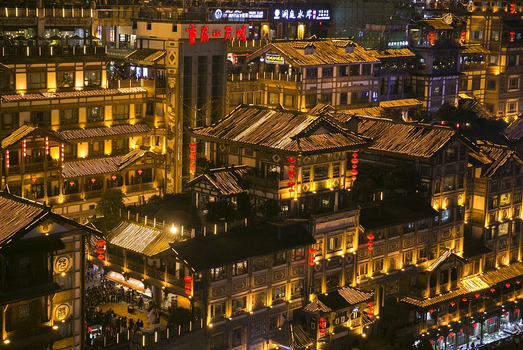 It was called Yuzhou during the Sui and Tang Dynasties when the Yu culture was established. It got the name Gongzhou during the Northern Song Dynasty. Emperor Guangzong was given the title Prince of Gong during his reign. He later named the region Chongqing which has continued to date. The word “Chongqing” means double celebration and the prosperity of the region definitely is a celebration of the Ba-Yu nationalities that have helped make it so. The Ba and Yu communities have distinct physical features and are well-known for their courage, passion, generosity, and lavish natures. The locals are very artistic and many ancient art forms exist even today. The Sichuan Opera and Kunqu Opera are the two most popular forms of fine art in Chongqing. Other forms of entertainment that are famous in the region are the Tan Opera and the Tune Opera with its high-pitched singing. The Three Gorges Ink Stones, Rongchang Folding Fans, and Shu Embroidery are well-known and make perfect souvenirs. The Chongqing Jiangbei International Airport and two feeder airports are the most convenient air connections between Chongqing Municipality and the other cities in China and overseas. It serves 7 domestic and International airlines to cover the air transport needs of the region. Several major railway lines radiate from the Chongqing Railway Station and the Chongqing North Railway Station to provide a comprehensive transport system covering all the districts of the municipality. The public aerial tramway is unique to Chongqing. There are three tramway systems that operate in Chongqing, namely the Yangtze River Tramway, the South Mountain Tramway, and the Jialing River Tramway. The complete system has a length of 1,160 meters with a daily average of 10,000 passengers. Since the Three Gorges Dam was built on the Yangtze River and several river ports were constructed in Chongqing, there has been a vast improvement in the water transport system. Larger cargo vessels and passenger liners can now move freely over the Yangtze River. Some of the popular tourist attractions and activities include the Three Gorges Yangtze River Cruises, Dazu Rock Carvings, Chongqing Wulong Karst Caves, Baoding Hill and Beishan Hill cliff carvings, Ciqikou Ancient Town, Liberation Stele Pedestrian Street, Haochi Jie Food Street, etc. The cuisine of Chongqing Municipality is typically Sichuan or Szechuan with its generous use of white peppers, spicy Sichuan peppers, and red chili. Other common ingredients are garlic, Chinese cabbage, pork, bamboo shoots, fish, chicken, etc. Some of Chongqing’s signature dishes are Hehuan walnut cake, Fuling Szechuan pickle, Dandan noodles, deep-fried Sichuan chicken, Chongqing hotpot, Spicy Winkles, Crispy Toothpick Rabbit Meat, Fish with Sour Chili, Taoran Chili Chicken, Steamed Sticky Rice Sparerib, etc.